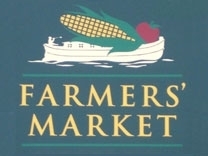 Farmers Market 411 provides free information on every farmers market in the United States and Canada. This information includes name, location, hours of operation, and even comments from customers about their experience at each market. Farmers' markets are markets, usually held out-of-doors, in public spaces, where farmers can sell produce to the public. Farmers' market produce is renowned for being locally grown and very fresh. People argue farmers' markets allow farmers to pick produce at the peak of flavor, preserve the nutritional content of fresh produce, and since locally grown produce does not travel as far to get to your table, the difference in mileage saves fossil fuels. Farmers' markets often feature produce grown naturally or organically, meats that are raised humanely on pasture, handmade farmstead cheeses, eggs and poultry from free-range fowl, as well as heirloom produce and heritage breeds of meat and fowl. In many countries with strict food safety laws, farmers' markets can be one of the few places beyond the farm gate to purchase raw food, such as raw milk. Farmers' market advocates believe the markets help farmers stay in business as well as preserve natural resources. Wholesale prices farmers get for their produce are very low, often near the cost of production. Farmers who sell direct to the public without going through a middle man get a better price. It can be shown that the preservation of farmland is important for the health of the environment and water supply. According to the American Farmland Trust, sustainable and managed farms conserve soil and clean water and provide a habitat for wildlife. Moreover, modern farmers' markets help maintain important social ties, linking rural and urban populations and even close neighbors in mutually rewarding exchange. Farmers' markets are a traditional way of selling agricultural and home manufactured products. A weekly market day is a part of normal life in villages and town squares throughout the world. A good way for a traveler to sample local foods and learn about local culture is to attend market day, especially when it coincides with a festival, such as the fiestas in many towns in Latin America. In France and other European countries, there exist street markets, as well as covered marketplaces, where farmers and purveyors sell. Farmers' markets are starting to appear online. In the U.S. and Canada, due in part to the increased interest in healthier foods, a greater desire to preserve local types of cultivars or livestock (some of which may not be up to commercial shipping or yield standards) and an increased understanding of the importance of maintaining small, sustainable farms on the fringe of urban environments, farmers' markets in the US have grown from 1,755 in 1994 to 4,385 in 2006 to 5,274 in 2009. In New York City, there are 107 farmers' markets in operation. In the Los Angeles area, 88 farmers' markets exist, many of which support Hispanic and Asian fare. New markets appear regularly, and existing markets—some well over a century old—are seeing renewed growth in both North America and Europe. Some markets are carefully managed, with strict rules for pricing, quality and vendor selection. Others are much more relaxed in their vendor criteria. While the usual emphasis is on locally-grown/produced food and crafts, some farmers' markets allow co-ops and purveyors, or allow farmers to purchase some products to resell. Some farmers' markets have wholesale operations, sometimes limited to specific days or hours. One such wholesale farmers' market is the South Carolina State Farmers Market, which is a major supplier of watermelons, cantaloupes, and peaches for produce buyers in the northeastern US. Farmers' markets also may supply buyers from produce stands, restaurants, and garden stores with fresh fruits and vegetables, plants, seedlings and nursery stock, honey, and other agricultural products. Although this is on the decline, in part due to the growth of chain stores that desire national distribution networks and cheap wholesales prices—prices driven down by the low cost of imported produce.